The term “stolen valor” refers to military imposters — individuals who lie about their military service. In the United States, the Stolen Valor Act of 2013 makes it a crime for a person to fraudulently claim military service or military awards and medals specified in the Act, with the intention of obtaining money, property, or other tangible benefit. The awards include the Medal of Honor, Distinguished Service Cross, Silver Star, Purple Heart, Combat Action Ribbon or Medal, and more. 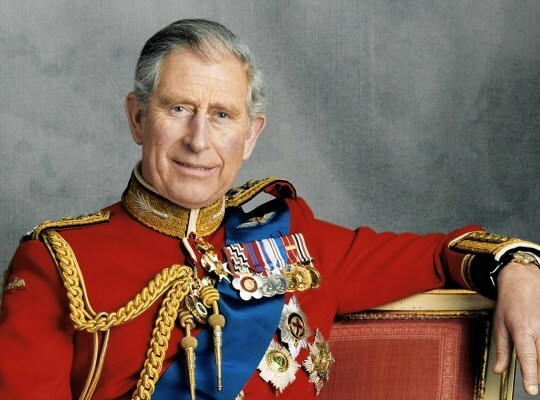 If Prince Charles, 69, were an American, he would be arrested for stolen valor — pretending to military service, ranks and awards that he had not earned. Royal Air Force training as a jet pilot in 1971. After a 6-week course in the Royal Naval College Dartmouth, he served on the guided missile destroyer HMS Norfolk (1971–1972) and the frigates HMS Minerva (1972–1973) and HMS Jupiter (1974). In 1974, he joined 845 Naval Air Squadron, operating from HMS Hermes. In 1976, he took command of the coastal minehunter HMS Bronington as captain for his last 10 months of active service in the navy. Altogether, Prince Charles served in two branches of the UK military: the Royal Air Force and Royal Navy. His entire military service lasted just five years, from 1971 to 1976. The highest rank he attained was Captain of the coastal mine-sweeper HMS Bronington. He never saw war and never served in combat. Five-star ranks in all three services: Army Field Marshall, Admiral of the Fleet, and Marshal of the Royal Air Force. The Order of the Garter, Britain’s highest medal of chilvary. The Order of Merit, for distinguished service in the armed forces. The Order of the Bath, usually given to senior military officers. Medals celebrating his mom, Queen Elizabeth’s coronation, and her Silver, Golden, and Diamond Jubilees, which have nothing to do with the military or combat. “Charles is making a mockery of every soldier, sailor and airman who did go into battle for their country, many of whom paid the ultimate price with their lives. His own father, Prince Philip, served in World War II and his brother, Prince Andrew, saw combat in the Falklands War. But Charles is a joke. He’s nothing but a clown prince. He should be ashamed of himself chatting to real veterans while he steals their valor with fake medals. Why the Brits put up with Prince Charles and the corrupt monarchy is a mystery. They must like being useful idiots. See also “UK news site: dying Mi5 agent admits to killing Princess Di“. This entry was posted in crime, EU/Eurozone, Liberals/Democrats/Left, Military and tagged Britain corrupt monarchy, Order of Merit, Order of the Bath, Order of the Garter, Prince Charles, Prince Charles military service, Queen Elizabeth II, Stolen Valor, Stolen Valor Act of 2013. Bookmark the permalink. Not a fan of the Windsors though in all fairness the sovereign and heir are always leading members of the medieval “Order of the Garter” and also inducted into the “Order of the Bath,” another ancient brotherhood of nobility and their closest friends. Bet those ears are real though. Please would someone (POTUS/DOJ) charge him with this crime. The communist/liberals traitors in the US State Dept barred highly decorated WWII veteran, fighter pilot Ian Smith from visiting the US Lincoln & Washington memorials. Why? Because he lead his nation Rhodesia into fighting and resisting the communist/liberal global agenda for 14 years. Yet communist racist war criminals like the knighted liberal beloved Robert Mugabe, are treated like royalty. I’ve been waiting for the so called “Day Of The Rope” for decades. Who cares! The duchess – a biracial, divorced and self-described feminist – is pregnant! All hail the modern and inclusive image! Yeah! !